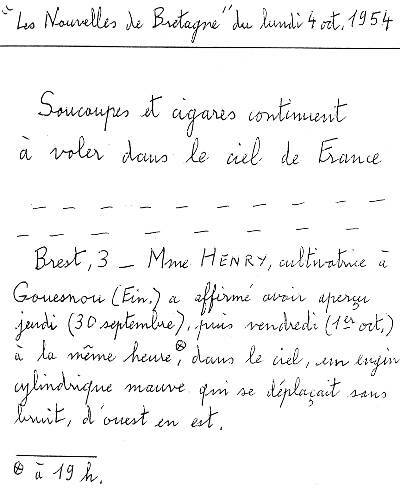 Reference number for this case: 1-Oct-54-Finistère. Thank you for including this reference number in any correspondence with me regarding this case. 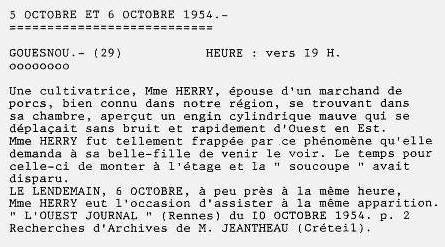 Luc Chastan indicates that in the Finistère in Gouesnou on September 30, 1954, a farmer woman "claimed to have seen twice in continuation on September 30 and on October 1, at the same hour, in the sky, a purple cylindrical machine which moved without noise, from west to east." Luc Chastan indicates that the source is Le Méridional. 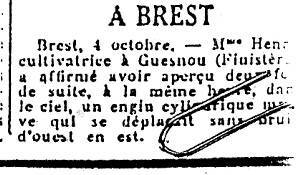 [ne1] Newspaper article manuscript transcript, Les Nouvelles de Bretagne, October 4, 1954, personal file. [ne2] Article in an undetermined newspaper of October 1954, my personal file. 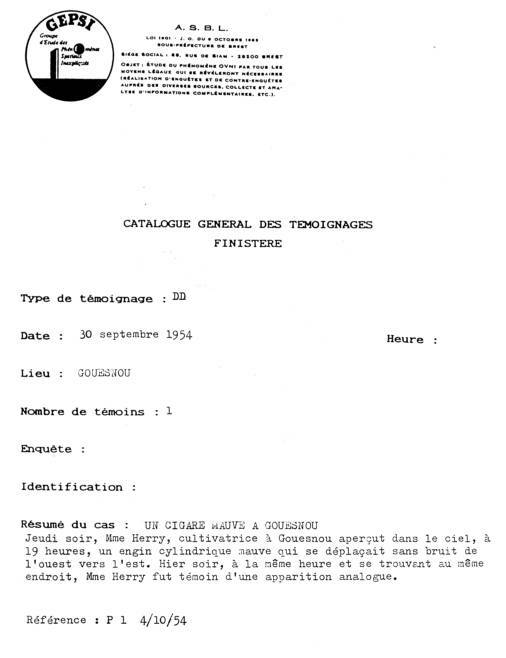 [ge1] File of the ufology group GEPSI, France, undated. 1.2 Patrick Gross February 7, 2017 Addition [vo1].